John Anthony Ferraro P.C, Architect is a diverse practice with experience in religious buildings, schools, residential, municipal and commercial. We specialize in personalized design solutions! Rockland County Architects Best of Houzz Service and Design 2019! ROAM Design, LLC is a full-service architecture, design and planning firm who is dedicated to providing high-quality architectural designs, translating our clients’ visions into built reality. George Hodosh Associates - Architects, P.C. At George Hodosh Associates, Architects P.C., we have over 25 years of experience in design and construction management in New York, New Jersey, and Connecticut. Tersigni Palachek is a boutique New York metropolitan area based design firm, led by designers Michael Tersigni and David Palachek. For over twenty years, Michael and David have consistently brought a distinctive approach to international branded environments that foster emotional and experiential connections. They have created or guided brands such as Banana Republic, Disney Store, Ermenengildo Zegna, Pottery Barn Kids, Smith and Hawken, and together crafted branded environments for Betsy Johnson, Giggle, Doc Martens, Henri Bendel, Jones NY, Kiehl’s Since 1851, Loft, Silver Jean Co., Victoria’s Secret, as well as various emerging brands. 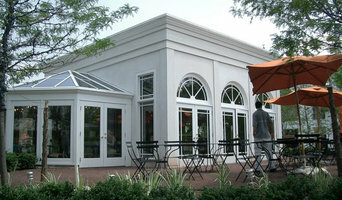 Tersigni Palachek also brings its unique retail design and branding philosophies to both commercial and luxury residential design. Residential real estate developers and investors look to Tersigni Palachek to give their properties a distinct look and emotional bond, connecting to their target market, and differentiating their offerings in a fiercely competitive landscape. Tersigni Palachek also creates signature private residences ranging from Manhattan townhouses, to waterside retreats, tailored to the client’s personal taste and lifestyle. Michael and David’s approach is to be an editor of style and resource for the unique and unusual resulting in a home the client knows is exclusively their own and like no other. Tersigni Palachek is dedicated to the creative journey and keeping it fun. The studio is and will remain an intimate and "hands on", bringing creative exploration and innovative solutions to the forefront and delivering one of a kind signature design solutions to our clients and friends. Architectural design for new construction, additions, and alterations with a focus on customer service and designs our clients can be proud of. Call us today to get started on your next project! Full service architectural office providing responsive solutions to the planning, design and construction of new and renovation projects. Adaptive re-use of older structures, including Historic Preservation work. Custom new construction projects designed to maximize the existing site conditions and provide an exciting solution to the program and project requirements. David Neff is a licensed architect who specializes in new homes and home renovations. In 2008, after a decade working for high-end residential firms in Connecticut and New York, David launched his own firm on a full-time basis. 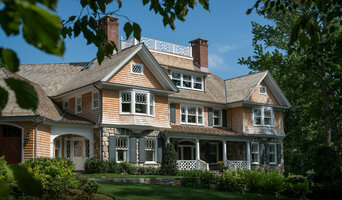 He has completed projects in Connecticut, upstate New York, Long Island, and Palm Beach. 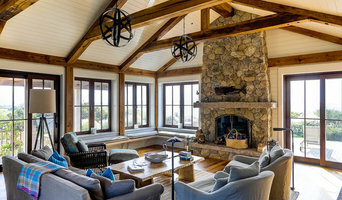 His first new house project was featured in Traditional Home's April 2009 issue, which profiled the "most sophisticated, young, traditional stylemakers nationwide." Archetype is a full-service design studio based in New York City. We specialize in Residential, Commercial, Retail, as well as Mixed-Use projects. All projects carry with them certain challenges and new experiences. We are committed to quality design that reflects the needs of our clients and these challenges. Constant communication through the design process is essential to achieve this goal. The collaboration process is what brings clarity to the finished product: a marriage of vision between the architect, designer and the client. We facilitate each project from the initial schematic design stage all the way through construction and occupancy. Our commitment to these full services generates our strong client referral base and recurring client work. We are continually in search of diversifying our portfolio and strive for each new challenge. Feel free to reach out to us, we would love to hear from you! Kimberly Peck Architect is a boutique architecture firm specializing in residential and hospitality projects. Projects range from new construction to historic brownstone renovations to large loft build-outs. We have a very strong emphasis on design and rigorous construction detailing. For us the dialog between client and architect is crucial to the architectural process. We start all projects by thoroughly discussing the clients goals and requirements to arrive at a mutual understanding of the program in relation to aesthetics, schedule and budget. We then work closely with our client’s interpreting their needs to create design based solutions that integrate seamlessly with the client’s lifestyle. Each project is a reflection of the individual client, creating a unique canvas for their life. We offer full architectural and interior design services on a project per project basis as needed. Our services include space planning, schematic design, design development, lighting design, interior finish and material specifications, construction documentation, construction detailing, bid coordination, building permit assistance, construction administration, furniture, fabric, wall covering and window covering layout and selection; and purchasing assistance. We are very interested in experimenting with new materials, using existing materials in unexpected ways, and in energy efficient and environmentally conscious building means and methods. We work with client’s of all budgets and strive to come up with creative design solutions to maximize the client’s investment. Kimberly has a bachelor’s degree in engineering and a Masters of Architecture. She is a licensed architect and has been practicing in New York City since 1997. Kimberly started her career working for world renown restaurant designer Adam Tihany and the award winning firm of Ogawa Depardon Architects, gaining extensive experience at those firms through her involvement in a variety of hospitality, retail and residential projects. In 2004 she started her own eponymous Architectural firm focusing on high end residential and hospitality projects for clients such as The W Hotel, Jonathan Adler, Ted Gibson, Loreal, Maimonides Medical Center and Club Monaco. Kimberly’s work has been featured on HGTV, The New York Times, Dwell Magazine, Remodelista, New York Magazine and many other publications. How do I find the best Upper Nyack architect for my home design project? It is best to hire a home architect who will be involved in all phases of the design process, from the initial concept to the completed construction. The architect is often the first person you will hire for your project. If necessary, they might also help you select and hire New York subcontractors, which can include the builders, engineers and landscaper. Interior architects are also involved in negotiating contracts for all involved participants. It is for these reasons that it is extremely important for you to have a good relationship with the Upper Nyack residential architect you hire. He or she can be the tie-breaking vote between you and the general contractor and can be your biggest advocate during the construction process. Different architecture firms in Upper Nyack, NY provide different services, so the scope of the work can span from pre-design environmental impact studies to selecting furniture and finishes, depending on what your specific needs are. It is very important to hire the right professional for the job. Remember that the most well-known or established designer might not provide the best architectural services for your needs. It all comes down to the individual project. Research and ask people whose work you like for recommendations. It's important to have somewhat of an idea of the style of house architecture that you prefer, as well as the amount you would like to spend. Residential architects in Upper Nyack, NY are natural problem solvers. They will assess the entire situation and help you to solve your problems too. Don't settle for a single company too early. Call and interview a few. Make sure that you feel like your personalities will mesh well and that you like their professional perspective. 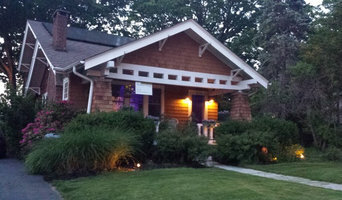 Find a home architect in Upper Nyack, NY on Houzz. Narrow your search in the Professionals section of the website to Upper Nyack architects. You may also look through photos of New York projects to find interior architects and building designers who have worked on a project similar to yours.